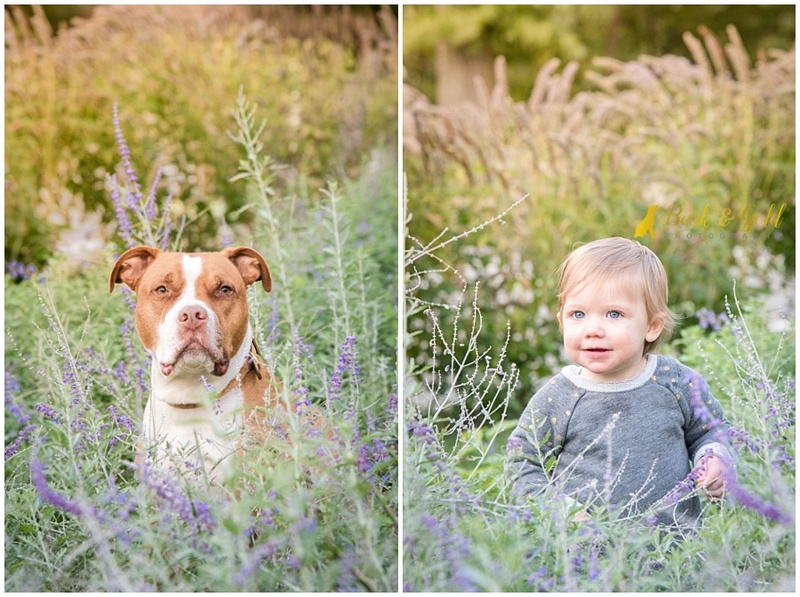 Isn’t it crazy to think that these next two portraits were taken on an overcast day…in October?! They have that light and airy summer feel that radiates happiness as much as Hugo and Ella! Just look at Ella’s baby blues! Speaking of candid, get a load of the final two shots of the afternoon! 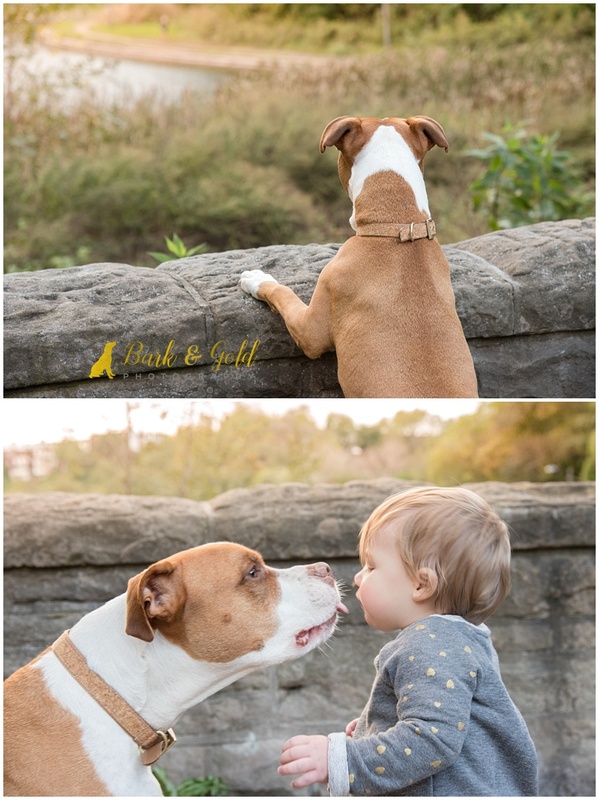 Pit bull kisses all around! Malarie had just told me how she’d love to get a photo of Hugo kissing Ella, but realized that it would probably be impossible to get. Then–out of nowhere as if he heard her–Hugo laid a big wet one right on Ella’s face. Seriously, I couldn’t have planned this if I tried! Malarie and Trent, I appreciate you braving the cold to capture these sweet and fleeting family memories! I know you’re going to treasure these moments as Hugo and Ella grow older and I can’t wait to see how you choose to display them in your home.